Hauser & Wirth is proud to present ‘Zoe Leonard. Aerials’. 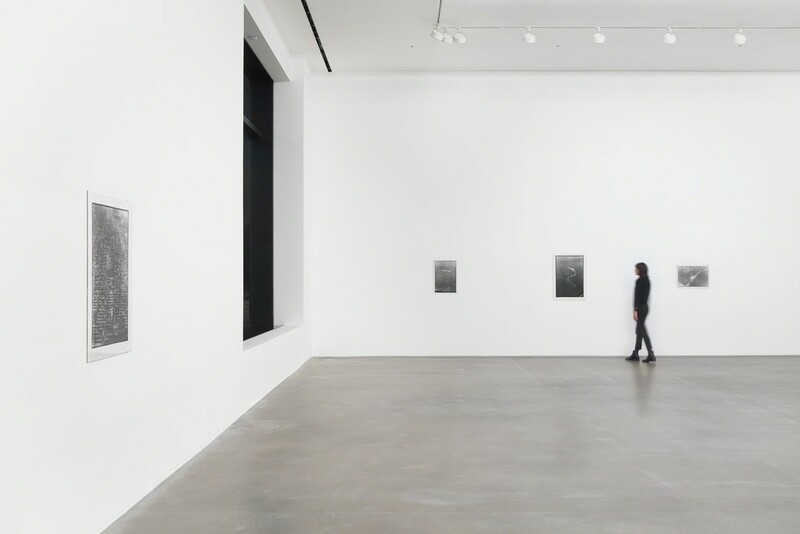 Over the past three decades, the New York–based artist has created a body of work which acutely interrogates the politics and conditions of image-making and display. Hauser & Wirth is proud to present ‘Zoe Leonard. Aerials’. 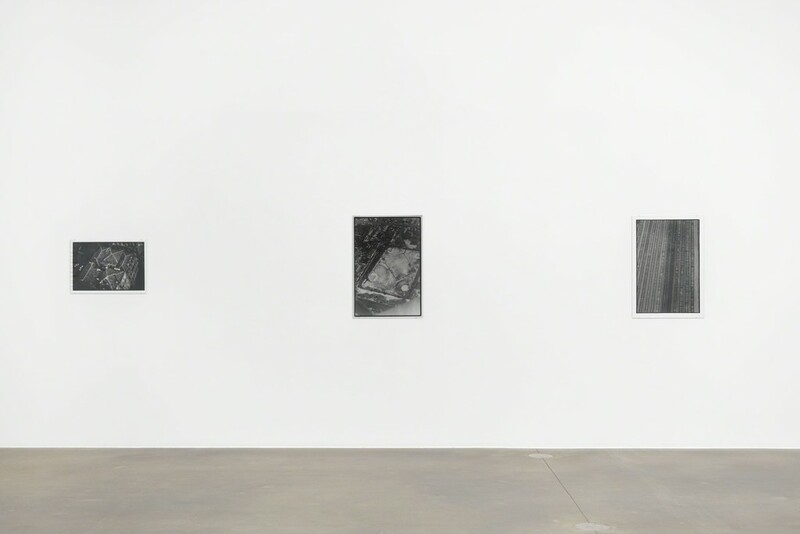 Over the past three decades, the New York–based artist has created a body of work which acutely interrogates the politics and conditions of image-making and display. This exhibition, the artist’s first at the London gallery, focuses on a series of aerial photographs created in the mid to late 1980s. 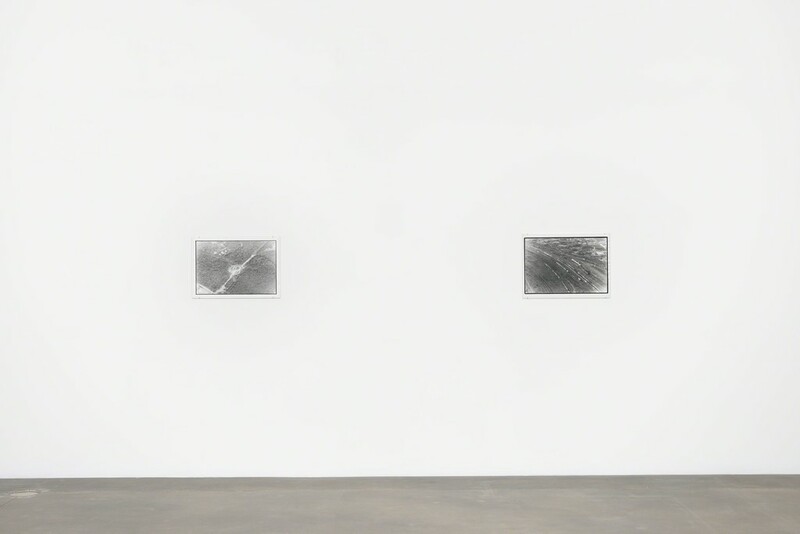 Leonard’s aerial photographs, among her earliest bodies of work, are a direct outcome of this interest, taking a perspective that alludes to surveillance and aerial reconnaissance photography. However, Leonard counters the look of traditional reportage by using composition and formal elements that underline the position of the artist and the role of the viewer in the photographic process. The rivers, railway tracks, roads and grid lines of houses are all framed with the wavering black edge of the negative. The occasional appearance of the plane’s window and the reflections in the glass situate the camera and, by extension, the artist. 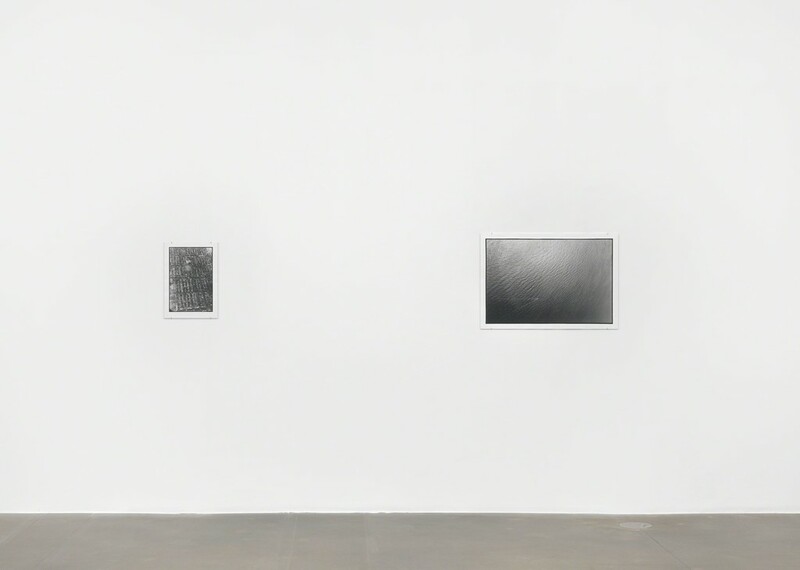 The scratches and specks of dust captured in the enlarger demonstrate the materiality of the images. In this way, Leonard brings the viewer closer in proximity to the process of both seeing and making the image. 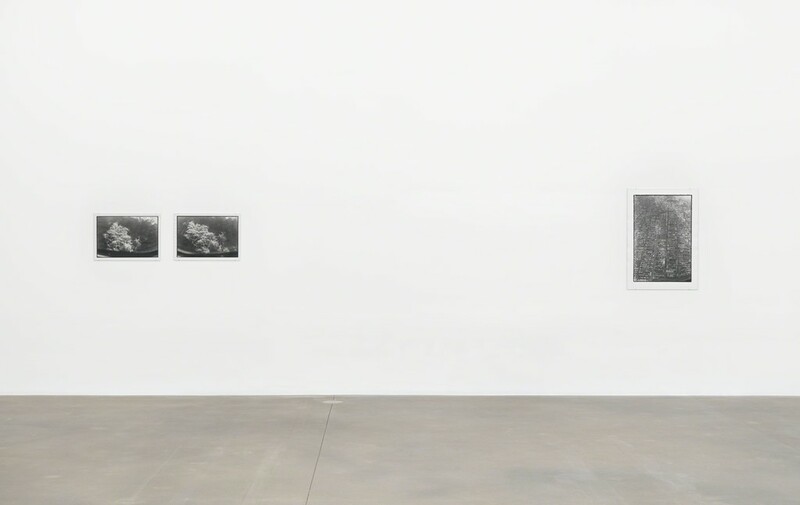 The exhibition at Hauser & Wirth London coincides with two major museum presentations of Leonard’s work: The Museum of Contemporary Art, Los Angeles (MOCA) retrospective, ‘Zoe Leonard. Survey’ and ‘Prologue: El Rio / The River’ (2018) at the Carnegie International, 57th Edition. 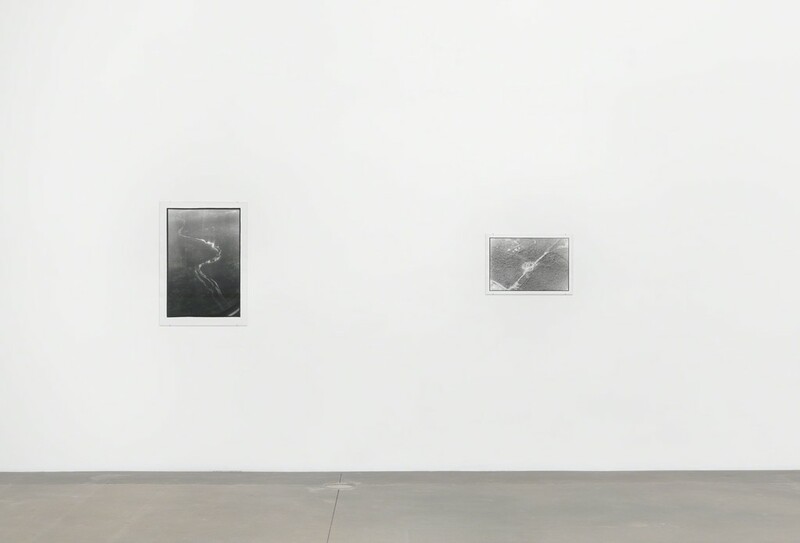 ‘Prologue’ is an introduction to a larger body of photographs chronicling the 1200-mile stretch along the Rio Grande River utilised as the border between the United States and Mexico. Leonard’s project brings attention to the concept of a border as a mechanism through which human societies transform natural landscapes into self-imposed markers that reinforce socio-economic and cultural divides. 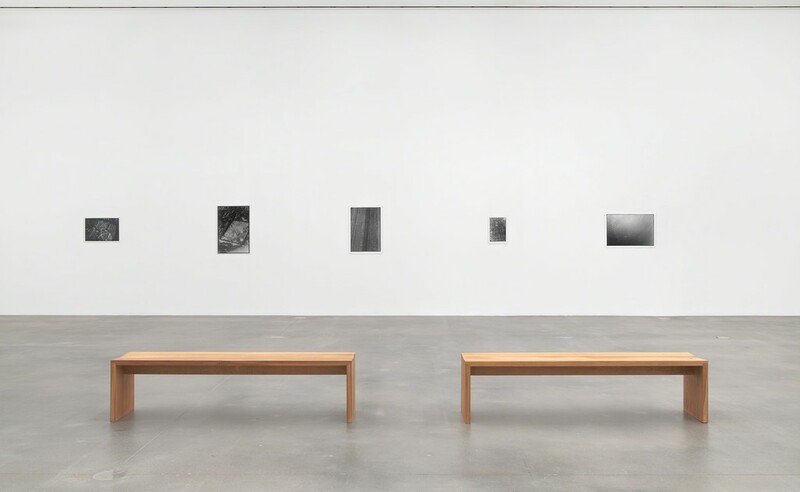 In addition, Hauser & Wirth Los Angeles is currently exhibiting Leonard’s decade-long project, ‘Analogue’ (1998 – 2009), comprised of 412 photographs arranged in grids and organized into 25 chapters. An allegory for globalisation, this photographic series is the result of a peripatetic process that led her from the declining mom and pop shops of New York City to roadside markets in the Middle East, Africa, Eastern Europe, Cuba, and Mexico, tracing the circulation of recycled merchandise.